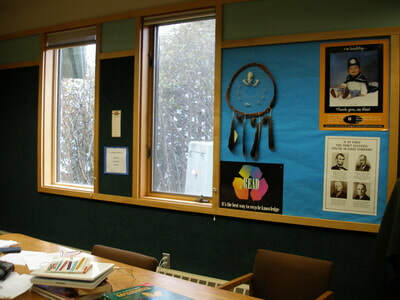 The Tenakee Springs School services kindergarten through 12th grade students and is part of the Chatham School District. Tenakee Springs School boasts a highly qualified teaching staff, with a one on one focus. Our students have consistently been ranked in the States top ten percentile of test scores, with a 100% graduation rate. The school building itself was built in 1987 and won the Alaska Chapter, American Institute of Architects Honor Award in 1988. The facility is well maintained, regularly cleaned and looks brand new. At the school you will find high speed Internet, top of the line technology, and enough computers for every student. 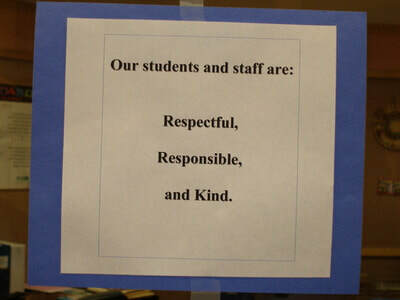 There are two classrooms, a library, an art room, and the teacher’s office. Off of the entry coat/boot room sits a large atrium with lockers, a piano and family style lunchroom tables. The school boasts a full kitchen for science experiments such as making clay to build volcanoes or to make homemade cookies for all to share. In the gym you will find basketball hoops, volleyball net, ping pong table, bowling pins, roller skates, gymnastics mats, archery equipment, and more. A hot lunch is provided daily and approved under the National School Lunch Program. Warm, wholesome, nutritious meals are served daily and the menu consistantly includes fresh fruit and vegetables and homemade bread. 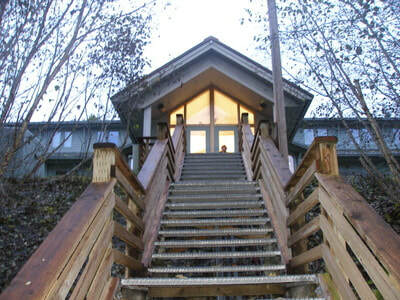 The school is perched on a small mountain and accessed by 146 stairs or a steep 4-wheeler trail. Many of the locals use the stair case as part of their daily exercise routine. For more information about the school visit the frequently asked questions page or contact the Tenakee Springs Advisory School Board at tkeasb@yahoo.com.